The question home buyers and investors alike are faced with today is whether they will be saying years from now that they seized or missed an opportunity of a lifetime. 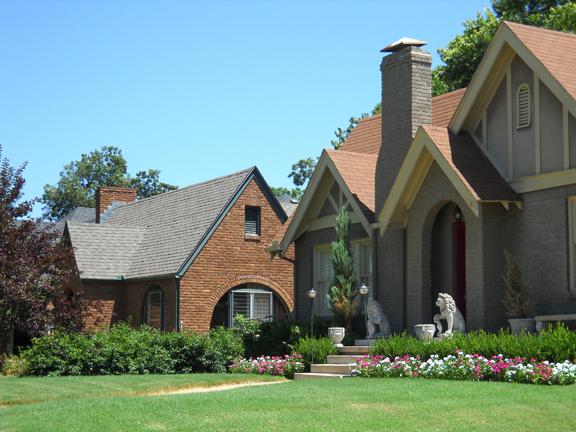 Want to know more about the Tulsa housing market? 2013 is slipping away as interest rates are on the rise and home values are increasing. Next year you may not be able to buy as much home as you could in the last two years. Call me to schedule an introductory appointment today at 918.630.8431. Midtown Tulsa is not just a geographic area – it’s a culture, a mind-set, if you will. Yes, we love our historical neighborhoods and the architecture of our older homes, but midtown is more than that. We have the highest walkability score in our city, and we have multiple public parks. Within two blocks of my midtown home are four parks: RiverParks, Veterans Park, the Creek Stickball park and the Creek Council Oak Tree site, which is listed on the National Registry of Historic Places. We want to walk to our jobs and cycle to our activities. The expansion of the Riverparks has been a huge aid in these endeavors. In fact, our city officials are currently discussing plans to make our roads more bike-friendly. We have the highest concentration of locally-owned businesses, and we support those businesses. Whether in Utica Square, downtown, Cherry Street or Brookside, we have many restaurants, groceries, pet supply stores and a variety of retail stores owned and operated by fellow Tulsans. We take pride in keeping our money local. We love our farmer’s markets and local diners. Our farmer’s market on Cherry Street on Saturday morning has become quite the gathering place with opportunities to purchase locally-grown, organic produce¸ dairy products, meats, breads, soaps and more. Ask Chinowth & Cohen REALTORS about midtown and enjoy our video - We GET it! Most of the city’s 5K runs begin at Veteran’s Park and our ethnic festivals are found on the RiverParks, the Greek church at 13th & Guthrie or the German American Society which is on the border of the historic Gillette neighborhood. But midtown is STILL about our historic neighborhoods and older homes with beautiful architecture - often still containing knob and tube electrical wiring. We regularly clean out tree roots from our sewer lines, because we refuse to eliminate our beautiful old oak and maple trees. We restore our homes steadily and patiently - always a project on the horizon. And you'll get different answers from different people as to the boundaries of midtown. I consider midtown boundaries to be Riverside to the west; Yale to the east (with the exception of White City and Lortondale); Tulsa University area to the north; and 41st Street (maybe 51st Street) to the south. Midtown is a community within a community - the best little corner of Tulsa! Celebrate America this Fourth of July! 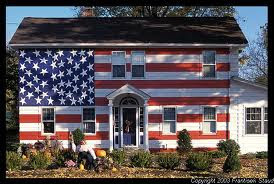 Home ownership is still a great, thriving American Dream!